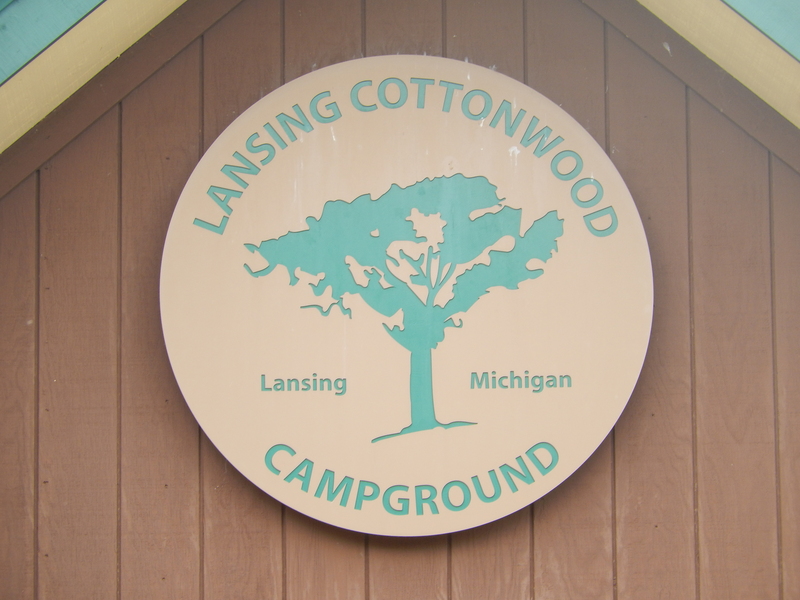 Lansing Cottonwood Campground is a gem in the south end of Lansing. It’s like being in the country even though you are still in the city. 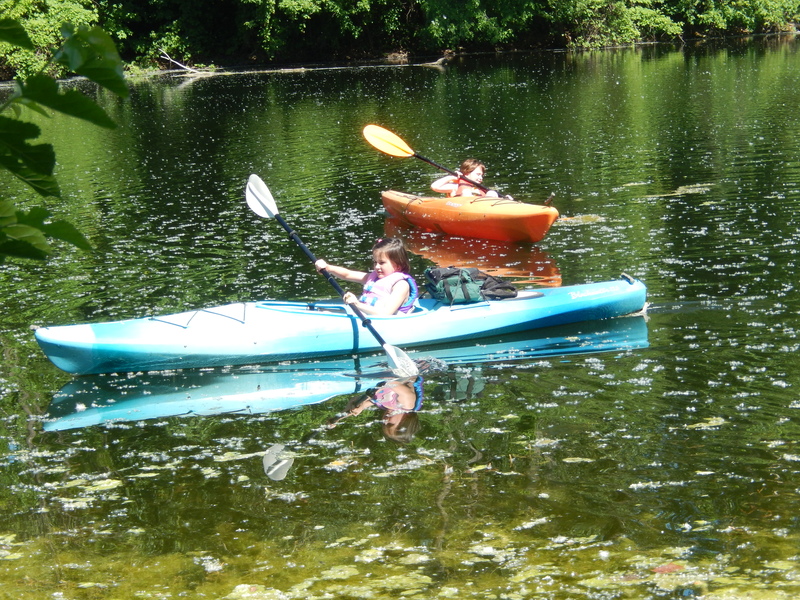 Tucked away off Aurelius Road, it has a pond for fishing and boating, many mature trees, and a nice trail that leads to the primitive campsites – a true urban park! Things were quiet when we first arrived, but that changed dramatically over Memorial Day weekend, at one point I noted there were only 6-8 unoccupied campsites. 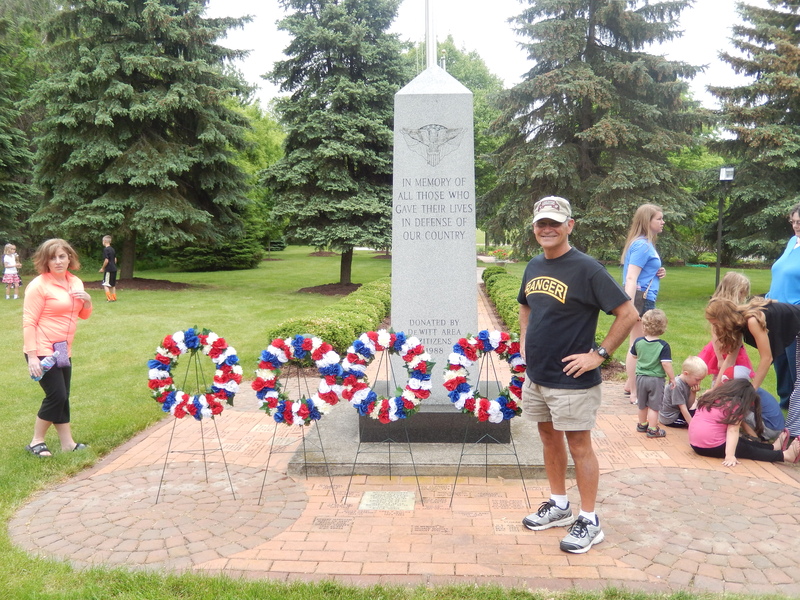 In honor of Memorial Day, we went to the Memorial Day Parade in our old home town of DeWitt. DeWitt is “small town Americana” at its best. The parade consisted of the VFW/American Legion Honor Guard, followed by a float with the VFW/American Legion officers, and the DeWitt High School band. While the parade has gotten smaller over the years, the crowd has not. We all lined the streets of the downtown area and followed the band as we all joined the parade to walk to the cemetery. The band played, wreaths were placed at the veterans monument, the mayor gave a short speech remembering his father’s service in the Navy in WW II, the VFW/American Legion Honor fired the salute, and the band played a medley of patriotic music. It made me proud to say I was from DeWitt. By lunch the campground was already clearing out. While it will be nice to have a peaceful and quiet campground again, it was fun to watch all of the young families with their kids playing in the pool, on the playground, and boating in the pond. The Sunday after Memorial Day Pat and I visited the Michigan Historical Center. This is a great place to learn about Michigan history. 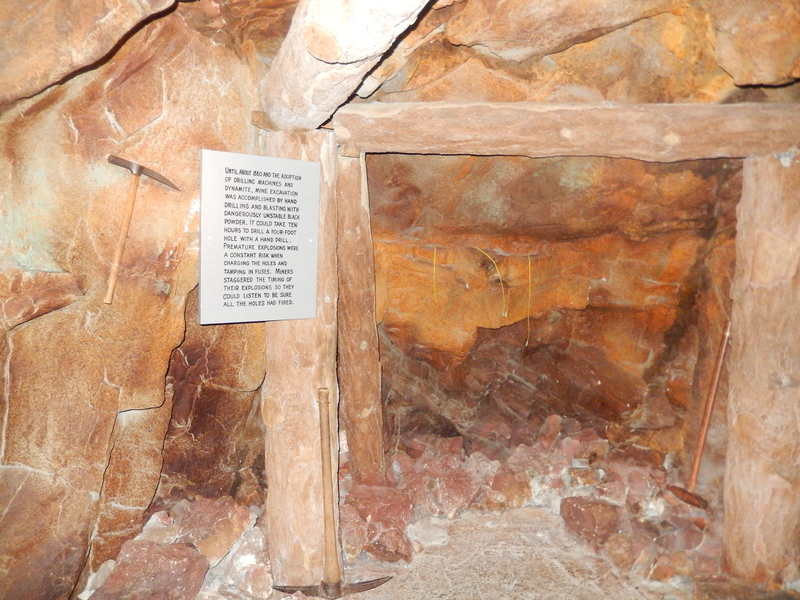 They have a special exhibit that changes frequently, and the regular exhibits take you through Michigan’s early years. There are highlights of the timber, mining and automotive history and it was especially to tour the part of the Museum dedicated to the 50’s and 60’s. Pat flew to Tacoma, WA to pick up our three granddaughters – they will be with us until the middle of July, I hope they don’t wear us out too much! I had my hands full get the trailer organized and putting the tent up for Katrina and Elisabeth (our daughter) to share. Both parties arrived with a half hour of each other at Detroit Metropolitan Airport where I picked them up for the drive to Lansing. The next morning we did some repacking and left for Dearborn for the wedding of our nephew Steve Smith to his fiancee, Brooke Murphy. The wedding was held at the Dearborn Inn, with the wedding outdoors on the grounds and the reception in the ballroom. The weather was a bit uncertain, but it was only a bit overcast, with the sun coming out right after the bride and groom exchanged their vows. It was like it was planned that the sun would shine on this new family. 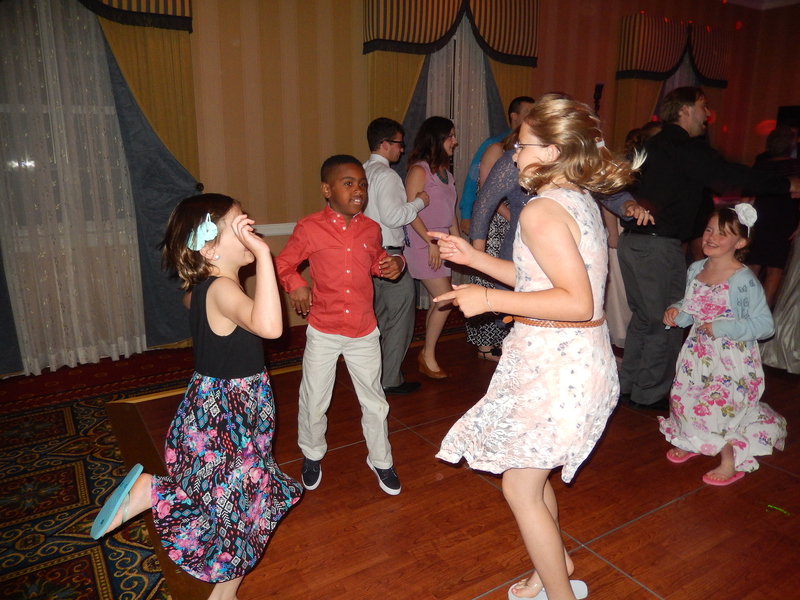 Our three granddaughters (10, and 8 years old twins) were on their best behavior, but once the dancing started they became the center of attention on the dance floor. It was fun to watch them enjoying themselves, and the whole family had a great time. The next week was spend enjoying the campground with the girls and finishing up some errands in the area. Pat took Katrina shopping one afternoon and I helped the twins to kayak in the pond in the campground. This is a nice pond, big enough to do some semi-serious kayaking, but not too big that the girls couldn’t kayak by themselves. We drove up to Mt. Pleasant to have lunch with my sister and her husband. They enjoyed visiting with the girls (who wouldn’t?) and we brought each other up on what we have been doing and plans for the future. Pat and her friend, Darcy, took the girls to the Potter Park Zoo while I started packing for our drive to Bad Axe. On Friday, June 19th, we made our way to Bad Axe. We stopped at Bronner’s Christmas Store in Frankenmuth, MI. Bronner’s has Christmas 361 days a year and they thought it was quite a treat to wander through all of the decorations. 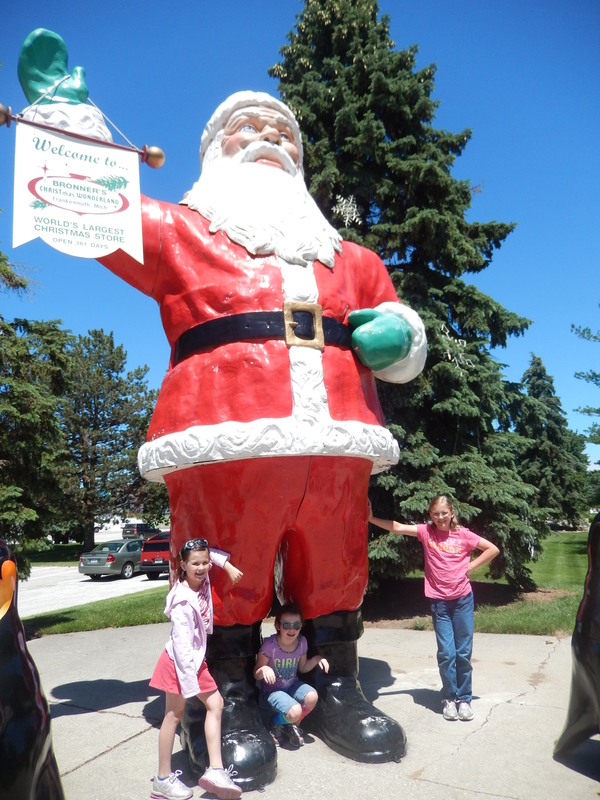 We even had lunch at the feet of a giant Santa Claus! We arrived at Pat’s brother’s house late that afternoon and were quickly set up in his backyard. 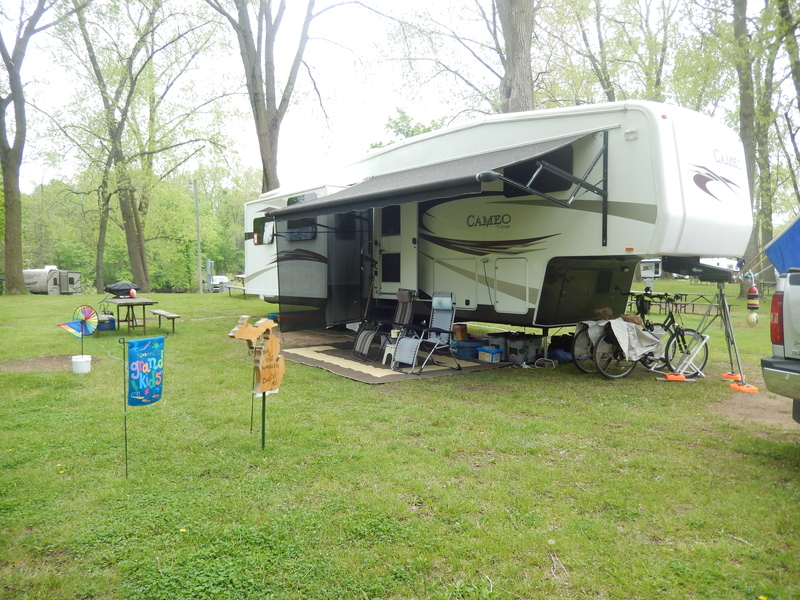 This entry was posted in Fulltime RV, Michigan, Michigan Traveler and tagged Bronner's Christmas Store, fifth wheel trailer, full-time RV, fulltime RV, Lansing Cottonwood Campground, Lansing River Trail, Michigan Historical Museum, Potter Park Zoo, RV Forums. Bookmark the permalink. We’ve attended a wedding at the Dearborn Inn before, Bob. They sure do a nice job there!